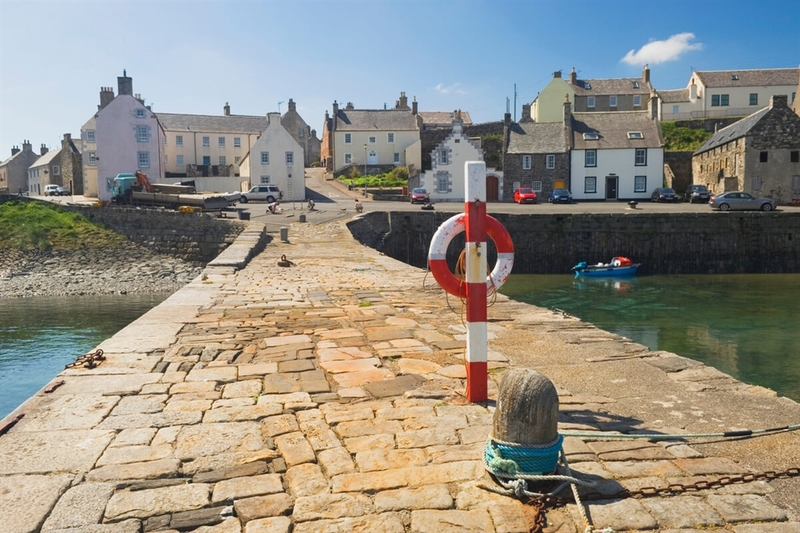 Lying on the Moray coast between Cullen and Banff, Portsoy is a quite charming port village. 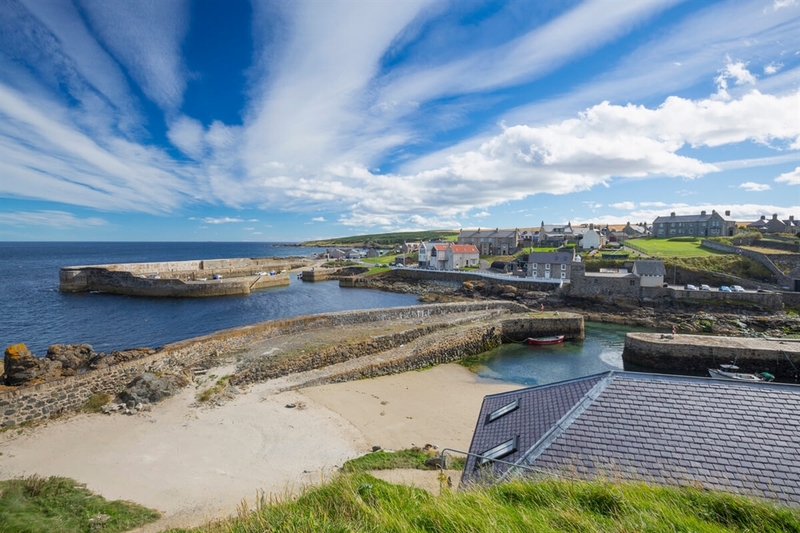 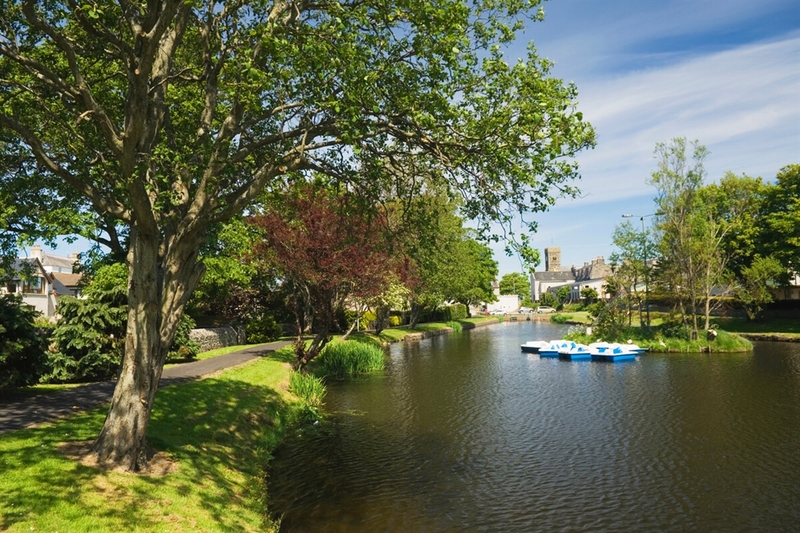 Its attractive uphill town centre has fascinating streets winding down to the remarkable harbour and the well-known local jewellery made from ‘Portsoy marble’, which was once shipped to Versailles, is on view in one of the warehouses overlooking the harbour. 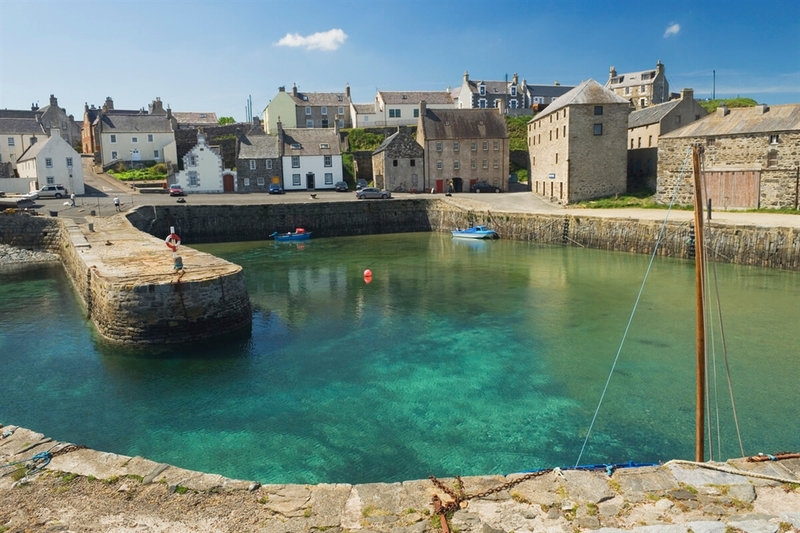 Portsoy hosts also an annual Scottish Traditional Boat Festival in early July which puts a special emphasis on boat building, restoration and sailing as well as on associated traditional crafts including knotting, weaving and embroidery and on music and art.